Ryan Kijanka began with TYS is 2015. Ryan teaches bass, guitar, adult classes, songwriting, and leads the Chamber Ensemble. He has also taught in the public schools and is a current member of the group Sirius. 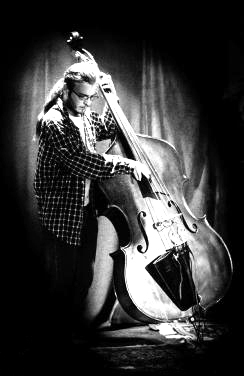 B. Ryan began playing bass, guitar, and piano in rock bands at the age of 12, and has since performed various genres of music including: jazz, classical, funk, reggae, latin, tango and gypsy jazz. Alongside performing, Mr Kijanka has been an active composer since high school. His first composition was performed by his high school orchestra and he has had his compositions performed on various occasions to this day. Ryan received his Bachelors in Music Education from Western Connecticut State University, and his Masters in Music Education degree from Shenandoah Conservatory at Shenandoah University. Upon obtaining his Bachelors, he spent four years in Kayenta, Arizona on the Navajo Nation teaching high school music. Today Mr. Kijanka is performing with some of Western North Carolina’s finest musicians including: Sirius.B, Upland Drive, The Gypsy Swingers, The Asheville Jazz Orchestra, The Resonant Rouges, The Dan Keller Trio, Los Abrojitos, Del Na Noche, and various freelance musicians. I believe that it is my job as an educator to provide students with a quality and lasting connection with music and the arts. To do so, students must be provided with an individualized curriculum that meets their goals and needs. This will ensure that all students will receive an equal opportunity to benefit from the arts. I also believe that it is crucial for students to receive a well rounded educational experience. Students should be exposed to several genres of music through performing alone and in groups, improvisation, music reading, music theory/composition, and quality listening experiences. Regardless if individuals decide to make performance a part of their lives as they grow, if they engage in all these areas of music they will grow with a connection and appreciation that will enrich their lives. Madelyn Sovern is a musician, herbalist, and teacher. With passions for music, creativity, nature connection, and community building, she has taught with many organizations over the years, such as MusicWorks!, Next Step Educators after school program, the Florida Herbal Conference and the Southeast Wise Women’s Herbal Conference, Pickards Mountain Eco Institute, Farm & Wilderness summer camps, Girls Rock Camps, the Young Women Leaders mentorship program, and she co-created a Young Herbalists home schooling program in Chapel Hill, North Carolina. Music has deeply enriched Madelyn’s own life, and she wishes to provide others with the skills to access music as a means for creative expression, relaxation, meditation, joy, community, and entertainment for self and others. 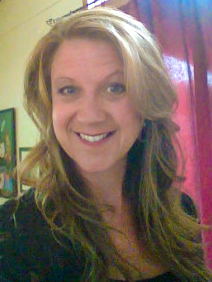 Madelyn believes in nurturing a natural sense of wonder in children and young adults, and holds space in a way so as to facilitate creativity and exploration. I believe in nurturing a natural sense of creativity in all individuals. I don’t just teach music as a skill or a discipline, I truly believe that it is an in valuable art form, and a vehicle for one’s deepest self expression. Therefore musical skills, once gleaned, can become like a language that one is fluent in for the deepest communication of the soul. In my classes, I intend to find a balance between receptivity and structure. I tend to be very open to taking questions as they arise from students and using those questions and curiosities as a jumping-off point for the class. I want to teach each student to be the kind of musician that they want to be, and therefore, I hold space for teaching a wide variety of songs and musical genres that students are interested in, skills for improvisation, technique building exercises such as scales and rhythm work, and musical games to inspire fun. I also like to use class time for deep musical listening when possible. I will ask t he class if they have a favorite piece of music that they would like us all to listen to, or I may choose something myself, or play something live for the class. Each class may look different, yet we will always find consistency in familiar exercises and warm-ups, and comfort in the community we create together as a class. I believe every person of every age, every culture, and in every life circumstance has the ability to participate in music in meaningful and often life-changing ways. My approach to teaching has always been to meet students right where they are at that moment in time, and find the best material to appropriately challenge them to be better every day. I believe there should be a balance between reading music and playing by ear, because this approach creates an independent learner who not only becomes a life-long lover of music, but also has the ability to sing or play something new to them. Quite simply, I feel blessed to be a teacher. What a gift it is to share my love of music and to help students create beauty in the world! 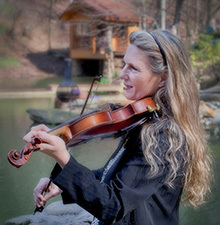 Ellen Ray Lee is the founder of Transylvania Youth Strings, which has since evolved into the Mountain School of Strings. It is through her passion for music and teaching children that Mountain School of Strings has grown and flourished. Though no longer teaching classes, she is still involved, inspiring our students and supporters.